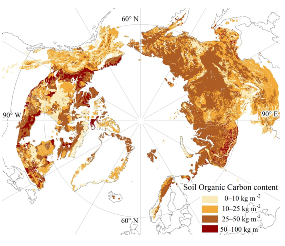 The amount of soil organic carbon (SOC) stored in permafrost terrain is significantly larger than what has previously been recognized in global estimates of SOC pools. 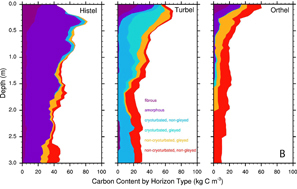 Using the Northern Circumpolar Soil Carbon Database, Tarnocai et al. 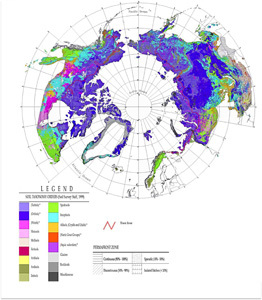 (2009) estimated SOC stocks in the northern circumpolar permafrost region to be 1024 Pg (1 Pg= 1 000,000,000 tons) for the upper three meters, with an additional 241 Pg stored in deep deltaic deposits and 407 Pg in Yedoma (ice rich deposits that accumulated before the last ice age). 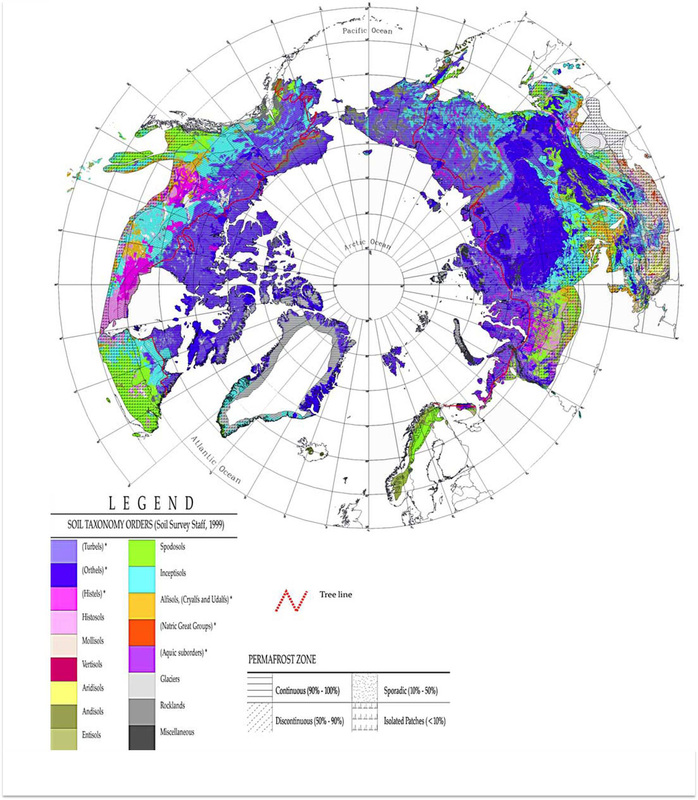 While researchers agree that there are large amounts of organic carbon in permafrost, challenges remain and estimates of deep soils (1–3 m depth) as well as deep Yedoma and deltaic deposits (>3 m) are identified as particularly uncertain. What new insight can we gain from more detailed landscape SOC studies? 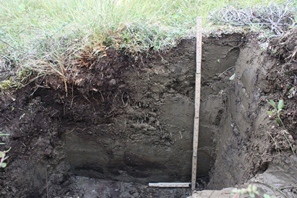 How much SOC is stored in deeper (> 1 m) soils and deposits? How large are the uncertainties in current estimates of SOC storage? What are the typical SOC distribution depth profiles for different soil classes? 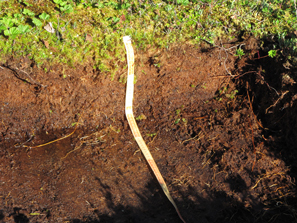 An initial action of the Carbon Quantity group has been to update, reformat and publish the Northern Circumpolar Soil Carbon Database: spatially distributed datasets of soil coverage and soil carbon storage in the northern permafrost regions. The descriptive data paper can be found here and the open access data-portal with all the described GIS-datasets is available online here.